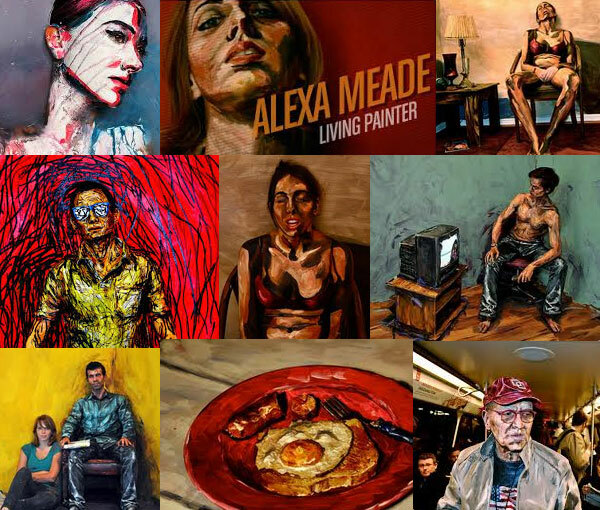 Alexa Meade an American artist best known for her portraits painted on the human body. She paints on the surfaces of live human subjects, and architectural spaces in a way that optically looks 3D space into a 2D plane when photographed. She takes a classical concept — trompe l’oeil, the art of making a two-dimensional representation look three-dimensional—and works in an opposite direction. Her aim is to do the opposite, to collapse depth and make her living models into flat pictures. Meade never attended art school and taught herself how to paint. She said she did didn’t have to think of painting as this thing on canvas, because I didn’t have any practice doing that. I just saw paint as something that can be used in space. She applies acrylic paint to the surfaces of people, objects, and walls in a style that mimics the appearance of brushwork in a traditional painting.